At the start of the greatest economic downturn since the Great Depression (2007), CEODentist presented a series of workshops, articles and training sessions based on the book, "Acres of Diamonds" and the principles of creating "Raving Fans" and "Patients for Life". As a result, practices not only weathered the storm, they flourished. The economy has rebounded and has been growing over the last few years, but now is not the time to rest. Consumer behavior and buying patterns have radically changed and you will need to exceed patient expectations in order to have continued success. Marketing guru and author, Seth Godin ("Purple Cow", "Tribes", "Permission Marketing", etc. ), warns that "You're either remarkable or invisible", that "Social Media has created the Connection Economy", and to "Never squander your relationship with your client." Over the years, we've continued to fill conference rooms all over the country with Dentists who come to our marketing training programs looking for ways to secure new patients. If you will look you'll see that the diamonds (production/collection revenues and new patients) are right in your own backyard just waiting to be mined. "Acres of Diamonds" was written by Russell Herman Conwell. The story is about a young African farmer who heard tales about other farmers that made millions by discovering diamond mines. He was so excited about the prospect of finding a mine of his own that he sold his farm and spent the rest of his life combing the African continent searching, unsuccessfully, for the gems that he intended for his fortune. As the story goes, broke, frustrated, and worn-out, the farmer took his life by drowning himself in a river. During this same time, the man who purchased the farm was crossing a creek on the property one day when he noticed a gleam of light from the creek bed. He reached in to the water and picked up a stone, found it interesting and brought it back to his farmhouse to put on the fireplace mantle as a conversation piece. Weeks later, a friend was visiting, picked up the stone and asked the farmer, "Where did you find this? Do you know what this is?" The farmer responded that "it’s a piece of crystal that I found in the creek. The whole creek bed is covered with them. Maybe not this big, but they’re everywhere." The farmer’s friend told him that it was a diamond. They went together to the creek, and sure enough they were sprinkled everywhere. The land that the first farmer had sold so he could go out in search of diamonds turned out to be the most productive diamond mine on the whole continent of Africa. The first farmer had owned outright, acres of diamonds, but sold them for practically nothing to go looking for them elsewhere. If the farmer had taken the time to study and learn about diamonds, and to have thoroughly explored the property he already had before looking elsewhere, he would have found all the riches he ever wanted right under his nose. 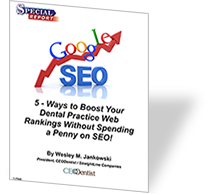 Dental practices spend countless hours and millions of dollars on marketing campaigns, gimmicks, and offers in attempts to lure new patients to join their practices and purchase their services. If they would only take the same amount of time and some of the money and invest it into truly understanding their markets, the real wants and needs of their current patient base, and to learn the skills needed to build solid relationships with their patients, they would realize that they too are standing in their own acres of diamonds. While we are investing our time and money in to getting a bigger piece of the pie, or more accurately, a piece of someone else’s pie (market-share), others are trying to get your pie - how many direct-mail campaigns and offers from other dental practices show up in your mailbox every day? We must learn to take care of and maximize our own assets before venturing out in to someone else’s patch. - The average practice will lose as many as 20% of their active patients each year. - Acquiring a new patient can cost the practice 6 to 7 times more than retaining an existing patient. Overall, it’s a lot of work and very expensive to keep recycling new patients. Instead of looking for the next “customer/patient” we should be looking at building long-term relationships and developing Clients/Patients for Life. These patients are advocates and ambassadors, just dying to tell someone about you and the value they derived from your practice. My wife and I love to go out to eat. We try all kinds of new foods and new restaurants, but our favorite Sushi restaurant in Denver, hands down, is the Sushi Den on Pearl Street. The atmosphere is fun and the food and service are always wonderful. One night while sitting at the Sushi bar, I thought, "I’m a client." Later that weekend I calculated my LTV (long-term value) to the Sushi Den. We usually go out on Friday or Saturday night, so our wait time can be one to two hours (I know it sounds nuts, but if you haven’t been, it’s worth it). We have a couple of drinks (at $12 each), talk and people watch (it’s an eclectic group for sure). We’ll get a nice table and dinner will set us back about $75 with another drink and tip. Our average ticket for the night is about $100. At a bare minimum, I figure I’ve kicked in over $11,000 toward the owners’ retirement. And that doesn’t include all the out-of-town guests and clients I’ve brought with me, or those that I’ve referred over the years; or for that matter, those that may go because of this article. Actually, I’ve been talking about the Sushi Den in my seminars for the last 10-years. What do you think that’s been worth? What’s the Long-Term Value of your client/patient? Or think of it differently: what does it cost you when a patient leaves to go to another practice because your service or product was inconsistent or didn’t meet their expectation? Are you feeling ill? Most practices think in terms of average sales price/initial visit production when examining the cost of new customer/patient acquisition, but rarely think in terms of LTV. Remember, LTV incorporates frequency of purchases, and leveraging each interaction for maximum profitability. How much revenue do we recognize on the initial visit? How much revenue do we recognize on each future visit? What is the frequency of future visits (healthy patient/perio patient)? How can we increase the frequency of future visits? What is the average length of time we maintain a relationship with our Client/Patient? How can we increase the time we maintain a relationship with our Client/Patient? What systems or programs could we put in place to secure the relationship? What additional value (products/services) can we provide at each visit? 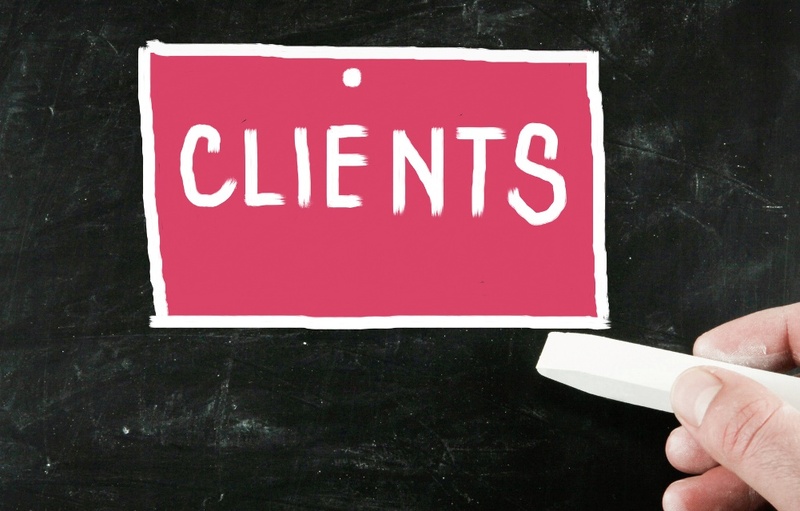 As Seth Godin said, Never squander your relationship with your client. Are you consistently looking for ways to improve the service in your practice? Are you asking your patients what you do well, what you can improve, and what you could do that would have them say, "WOW!? Leave a comment below to add your thoughts.